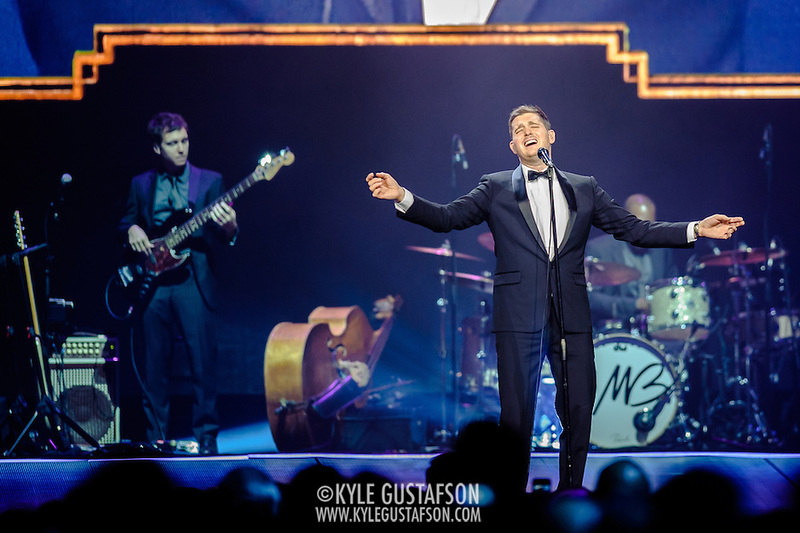 Shooting from the soundboard is never ideal, but I have to say I didn’t totally hate shooting Michael Buble from back there. 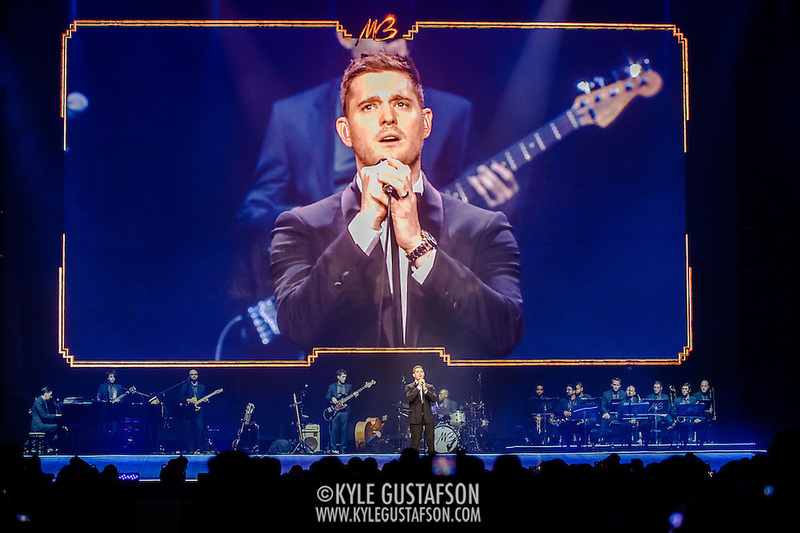 I rented a 300mm/2.8 to shoot with but ended up getting a good variety of shots (mostly because of the huge video projection screen behind Buble) by also using my 70-200mm/2.8. 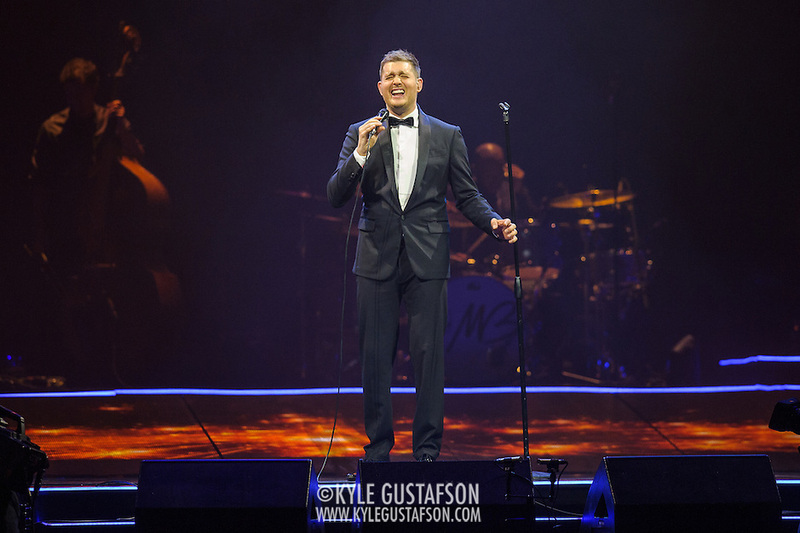 And I had no idea Buble was so funny. He’s a total charmer. 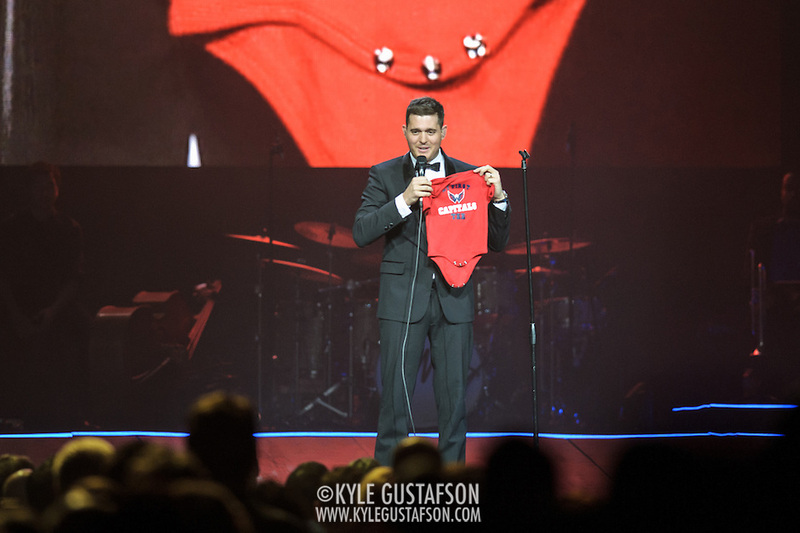 He interacts with the crowd quite a bit, hence the shot of him holding up a Capitals baby tee (a gift from a fan down in front). The audience was a nice mix of young and old. 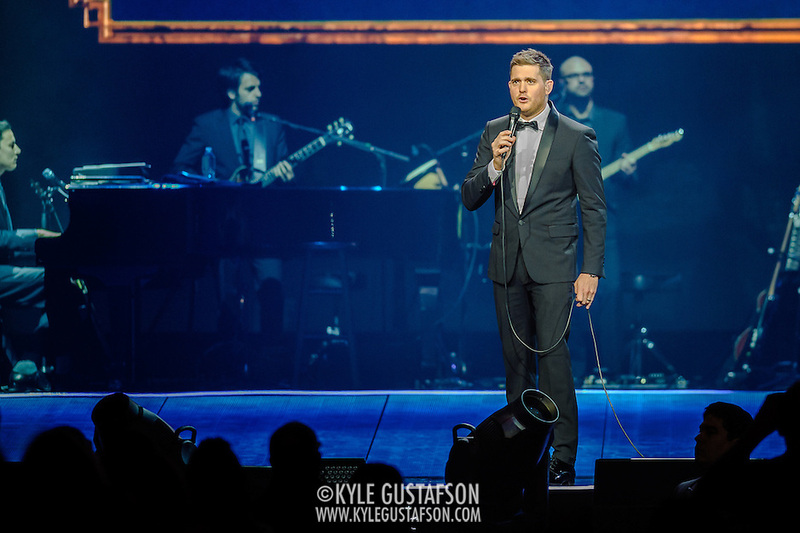 My only complaint about this show was that Buble tended to just stand there when he had an interesting background and then do something interesting when he was in front of a plain background. Oh well. SHOOTING NOTES: It;s soundboard, so be prepared for that. Lights were OK, but keep the mostly dark background in mind since he will be wearing a dark suit. He moves around a decent bit, but the lighting in the wings is mostly spotlights. 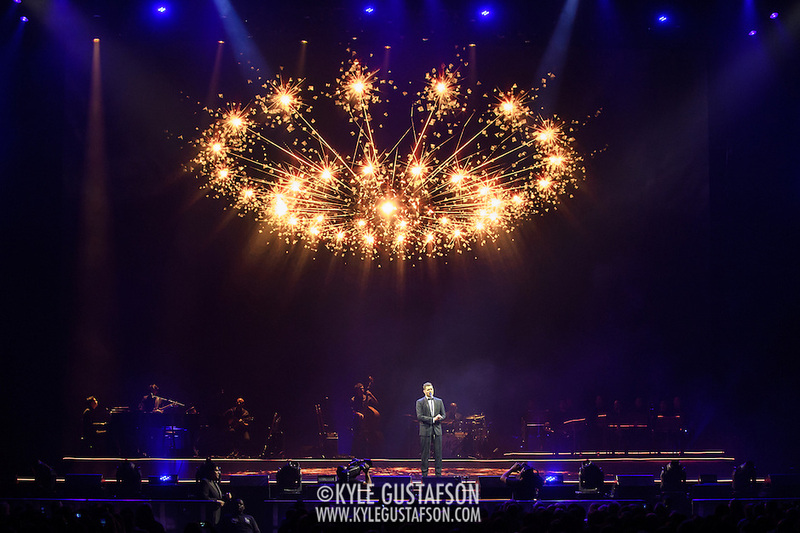 The first sing he performs in front of a curtain, the second with a band behind him and the third with a cool light projection. Be sure to get some wide shots during the third song.